In a large bowl, mix the Angel Food Cake mix & the crushed pineapple including juice, until blended. Note: The mixture will start to froth & then turn into this amazingly airy, fluffy mixture right before your eyes. Pour the batter evenly into a greased 9" x 13" cake pan. Bake at 350 degrees F for 30 minutes. Note: The cake needs to bake the full 30 minutes to insure that the center is done. The top of the cake will be a dark golden brown. 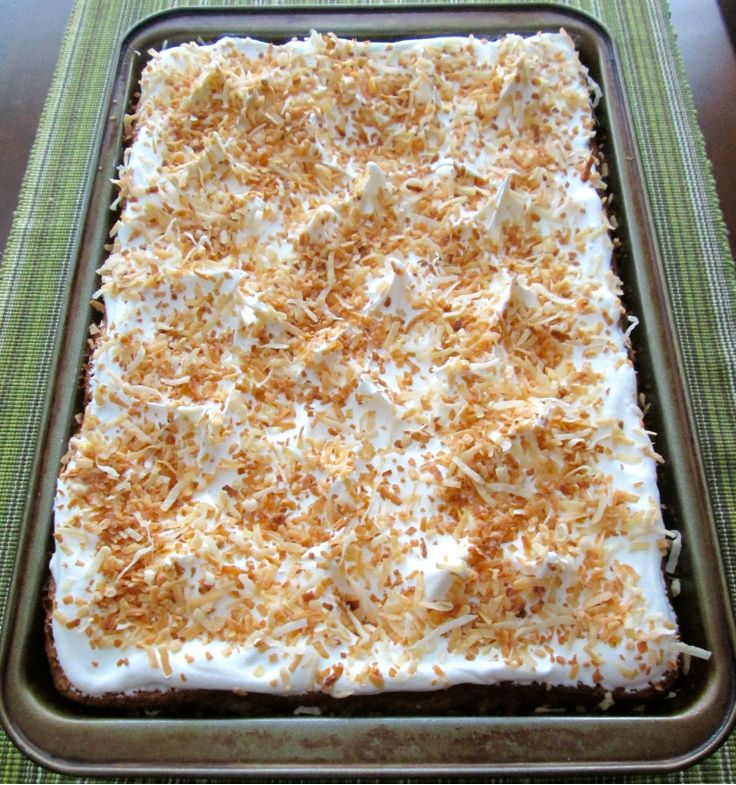 Cool completely and top with lite non-dairy topping or sweet whipped cream. Tip: With the back of a spoon lift the topping to make random little peaks (looks so pretty! ).